It hasn’t been long ago we we’re tellin’ ya about the Purina Days celebration at Tractor Supply. We sure had a blast at that event! Well y’all, they are partyin’ again with a special in-store event! WOOF! We’re gettin’ excited ’cause Tractor Supply is our favorite place to shop! My Lady always brings us tasty treats when she goes. And, last trip she had to bring Ozzy a new bed ’cause he chewed his up. Silly dog pulled all the stuffin’ out of it! Let me go ’round up my Lady, so she can fill ya in on all the details WOOF! I’ve talked with you before and shared my all time favorite store, Tractor Supply. I was so happy when they came to my rural area. I’m not much into shopping trips, but I love my weekly trips to my local Tractor Supply. I actually look forward to them! I love the friendly, helpful people and the relaxing atmosphere of the store! I usually visit once a week for all the major pet food and other supplies I need. Then, there are times I need to just drop in for extras. Either way, it’s always a pleasure! Last time we talked they were having the Purina Days event. We sure had a lot of fun! There was an adoption event and a pet health care event. Just to join in the party atmosphere, visit with the animals and browse through the store was a nice little outing. Well, we are excited because they have another special in-store event coming this weekend! Save the date – July 12th! Mark it down and circle it in red! While we don’t have farm animals here, we do have an assortment of 4-legged friends. From our 7 dogs, to the stray cats on to the squirrels and birds. Along with furry 4-legged friends, comes hungry bellies and pet health care supplies. We seem to always be in need of pet food of some sort or the other, along with the occasional bed, bowl or leash. Tractor Supply quickly became my favorite one stop shop for all the necessary items! Not only do they have all the pet care needs covered, with summer here gardening and lawn care supplies are in high demand also. 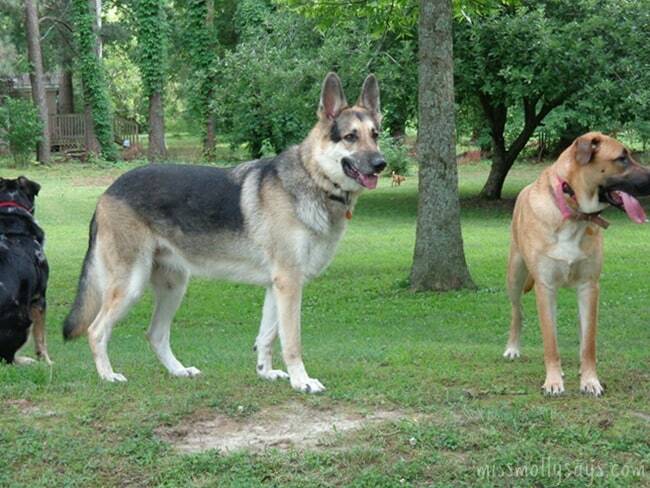 With our pack of 7 large, and growing, dogs we go through a lot of dog food! 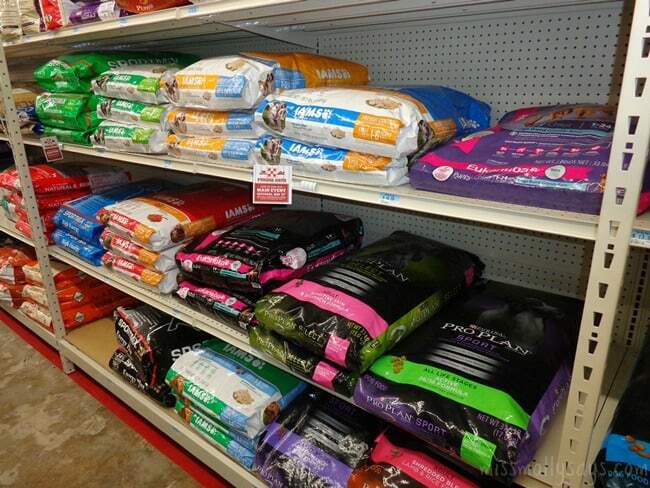 Tractor Supply carries brands which include Hill’s Science Diet, BLUE, Diamond, Eukanuba, Purina, Taste of the Wild, and more at very reasonable prices (my favorite part)! They’ve always had a generous supply of what we needed. Tractor Supply also has a 4Health brand pet food, available exclusively at Tractor Supply. It has fresh meat in every formula and less filler than some other brands. 4health offers exceptional taste and more quality nutrition per bag, allowing you to save money while providing your pet with a rich balance of vitamins, minerals, omega fatty acids, antioxidants, and protein. You can check out more information and read some of the reviews here. 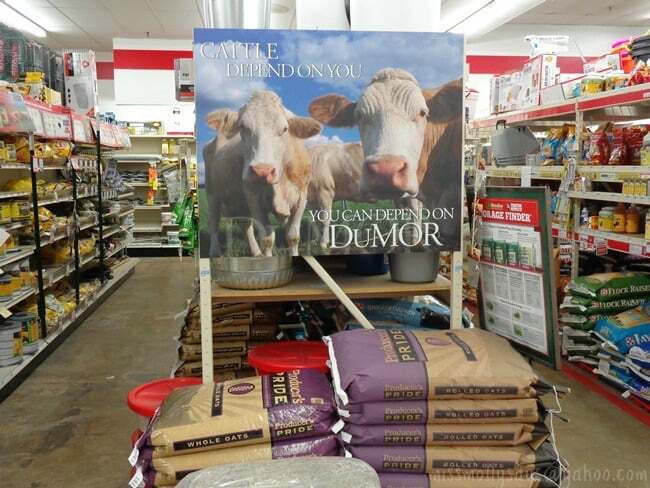 Even though we don’t have other farm animals, Tractor Supply has products for all of the animals in your life. From dogs and cats to horses, cows, goats, pigs, and more. They even have wild bird food! Tractor Supply is truly your one shop stop to help you care for your animals. Meanwhile, I still have a goat or two and a few chickens on my wish list. Don’t let the name of Tractor Supply mislead you! Tractor Supply is more than tractor supplies! They carry an extensive line of pet food and supplies, including premium brand food, treats, flea & tick control, beds, wireless containment, crates, kennels, collars, leads, bowls, grooming supplies, toys and more. Tractor Supply also carries gardening supplies, home supplies, clothing, etc. Like I said – my favorite store! With the friendly atmosphere and extensive array of items, I could literally get lost in time just browsing! Special In-Store Event – July 12th at Tractor Supply! Tractor Supply also supports local FFA and 4-H groups, as well as hosting a variety of community events in their stores. Now, we are excited to tell you about the special events scheduled at Tractor Supply for the weekend of July 12th! Each store will be hosting a community event! The majority will be animal adoptions and care clinics. Come join in the fun celebration! It’s a perfect time to stop in and check out their selection and meet your neighbors! We can’t wait! It’s always a fun time. Hope to see you there! You can find Tractor Supply online and on Facebook, Twitter, Pinterest and Google+. This post is sponsored by Tractor Supply Company and the Pet Blogger Network. I am being compensated for helping spread the word about Tractor Supply Company and their Purina Days Campaign, but Miss Molly Says only shares information we feel is relevant to our readers. Tractor Supply Company, Inc. is not responsible for the content of this article. I have heard a lot about this store and thank you for sharing. I don’t think I have one near me. I wish our Tractor Supply near me did this, sounds like it would be a lot of fun.